What makes a car beautiful? Is it flowing lines, pleasing proportions, a clear identity, a strong sense of character, exquisite details — or a mixture of all of the above? True, the assessment of beauty ultimately remains in the eye of the beholder, yet its truest manifestations always seem to elicit unanimous praise and approval. We have looked far and wide to choose the most beautiful production cars of the last few years, and agonized over a list of 10 standouts. The fact that most are European will not come as a great surprise, but the inclusion of a compact sedan from South Korea should raise a few eyebrows. As Hyundai continues to receive acclaim from consumers and critics for such popular models as the Genesis, Equus, Sonata, and new Elantra, the automaker is looking to dominate the subcompact segment with its all-new 2012 Hyundai Accent. The new Accent has upped its game substantially. In equipment, style, and pricing, it poses the most serious and credible threat to its competitors to date. Exciting changes abound for Hyundai’s new entry-level offering. The segment’s only direct-injected engine happens to be the most powerful, at 138 horsepower and 123 lb-ft of torque. That bests the next-most-powerful Fiesta by 18 horsepower and 11 lb-ft. The all-new Accent features an eco-efficient 1.6L Gamma GDI engine that generates a remarkable, class-leading 138 horsepower, a full 25% more power than its predecessor. In addition, the Accent still manages a segment-leading 30 mpg city and 40 mpg highway. The Accent’s fuel economy ratings apply across the board, regardless of body style, transmission, or trim level. All Accent models with automatic transmission have an Active Eco System that modifies engine and transmission control for improved fuel economy. In fact, this system provides a 7% improvement in real-world fuel economy over vehicles without this feature. Space can be deceptive, especially in a car this size. But luckily for consumers, the Accent delivers it big with best-in-class front and rear shoulder room. The Accent 5-Door also received best-in-class cargo volume with even more cargo volume than the Infiniti EX35. The Accent 5-Door has a surprising 111.3 cubic feet, which is more than Ford Fiesta, Mazda2 and Toyota Yaris. As far as styling is concerned, Hyundai didn’t cut any corners. The Fluidic Sculpture design theme that sets Hyundai apart extends to the all-new Accent, with its chiseled front fascia, bold rear bumper design and flowing lines that drivers wouldn’t expect to see on a car in this segment. The rear hatch on the Accent 5-Door adds great style and versatility to this well-designed vehicle. See its new look online at 2012 Hyundai Accent. Consumers will find that the 2012 Hyundai Accent has a number of strengths, including the best combination of power, fuel economy, handling, ride, room, driving position, interior materials, and overall refinement in the segment. Chapman Hyundai Scottsdale, the number one Phoenix Hyundai Dealership in Arizona, features a full inventory of 2012 Hyundai Accents. Chapman Hyundai is a new and used Hyundai dealer located in Phoenix, Arizona. Their dealership features a full inventory of Hyundai cars and Hyundai SUVs with real photos featured on their website. The dealership amenities include a new Hyundai Service and repair facility, a dedicated Certified Pre-Owned Hyundai sales building and a used car facility. Chapman Hyundai invites consumers to visit and see why they take pride in the vehicles they offer and the service they provide. 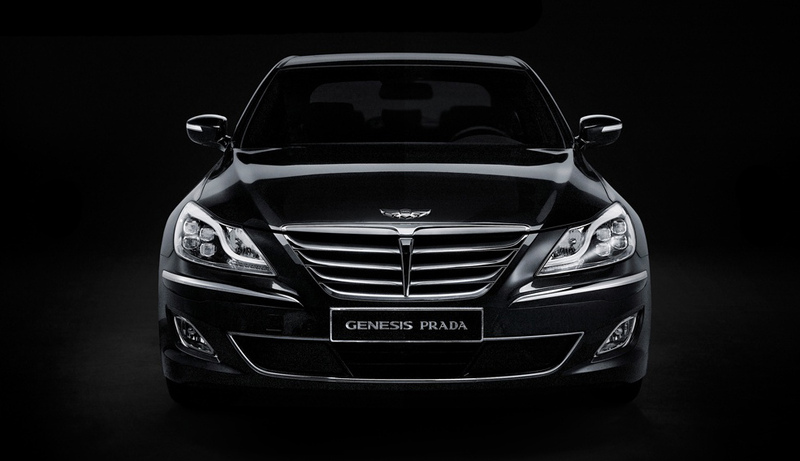 Hyundai Motor Company announced it has put on sale a limited edition Genesis Prada in South Korea. First shown as a concept car at the Seoul Auto Show two years ago, the new vehicle from the fastest-growing Korean car-maker is manufactured in collaboration with Prada, one of the world’s leading brands in the luxury goods industry.